The parking offer of the Murcia airport allows you to park in comfort within the airport premises, within walking distance of the passenger terminal. The airport has 1 public parking with an area of ​​47.095m2, and it contains all the needs so you can park your car for as long as you need. 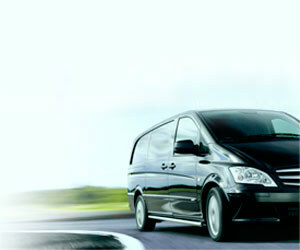 The airport of Murcia Corvera also has a specific parking for the delivery and return of rental cars. Located close the terminal building, this ground floor parking has a capacity for 14 motorcycles and 1,112 slots, 30 of them for PRM. The parking has an area of 47,095 m2, and all parking spaces are covered. Maximum height for vehicles 2,10m. Charging points for electric cars. *The tariffs of the public parking areas at Murcia airport are subject to Aena and can vary without prior notice. 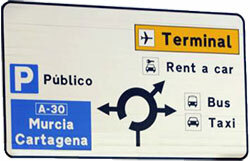 Murcia airport has a specific parking for the delivery and return of vehicle rentals. This car park is located close the passenger terminal. This parking has 528 covered spaces on a floor area of 5,173 m2. Parking for rental cars is free of charge. The cars that park in these places without the corresponding permission will be removed by the tow truck, having to pay the amount of the tow truck.